Generally referred to as a “tummy tuck”, abdominoplasty removes excess fat and skin from the abdomen. A tummy tuck transforms a large, saggy abdomen into a tighter, more youthful looking mid-section. The improvement in contour can be quite dramatic, with better-fitting clothes, even getting back in a bathing suit when you never thought you would, and greatly improved self-esteem. Dr. Jaffer, a double board certified plastic surgeon, has established an excellent reputation with women throughout the Houston area when it comes to Tummy Tucks. Dr. Jaffer has worked with a wide range of patients, each with their unique take on the results they want. Backed by his creative and artistic background, Dr. Jaffer understands the body’s anatomical structure and how to safely and effectively bring out the aesthetic qualities that individuals seek. The procedure helps to improve the contour of the abdomen and to narrow the waist by tightening the abdominal muscles. Women, with stretched abdominal areas due to previous pregnancies, can benefit considerably from abdominoplasty. Other individuals whose skin has lost some of its elasticity and are slightly obese can experience an improvement in their abdominal area. Not sure what to expect from your Tummy Tuck procedure? Dr. Jaffer will discuss the various options for helping you achieve the results you’re after. Dr. Jaffer is a double board-certified Houston plastic surgeon, whose practice has grown through the results he’s achieved for his clients. At your consultation, Dr. Jaffer will sit with you and discuss your desired Tummy Tuck outcome, providing his own professional analysis as a plastic surgeon and artist. He listens carefully to every patient in order to achieve a look that is always natural, beautiful and ideal for each patient. You can also trust that Dr. Jaffer will provide honest, caring advice – your partner in getting the best results from your Tummy Tuck and for life. Whether you know exactly what you want, or if are looking for a doctor who will help with guidance and suggestions, you’ll immediately feel comfortable discussing your procedure with him. Dr. Jaffer is highly respected by his patients and peers. This is the reason why other plastic surgeons refer some of their clients directly to Azul Plastic Surgery, and also why most of his patients come from referrals. While the information here is provided to help you better understand the abdominoplasty procedure, there is no substitute for a consultation with an experienced board certified plastic surgeon. 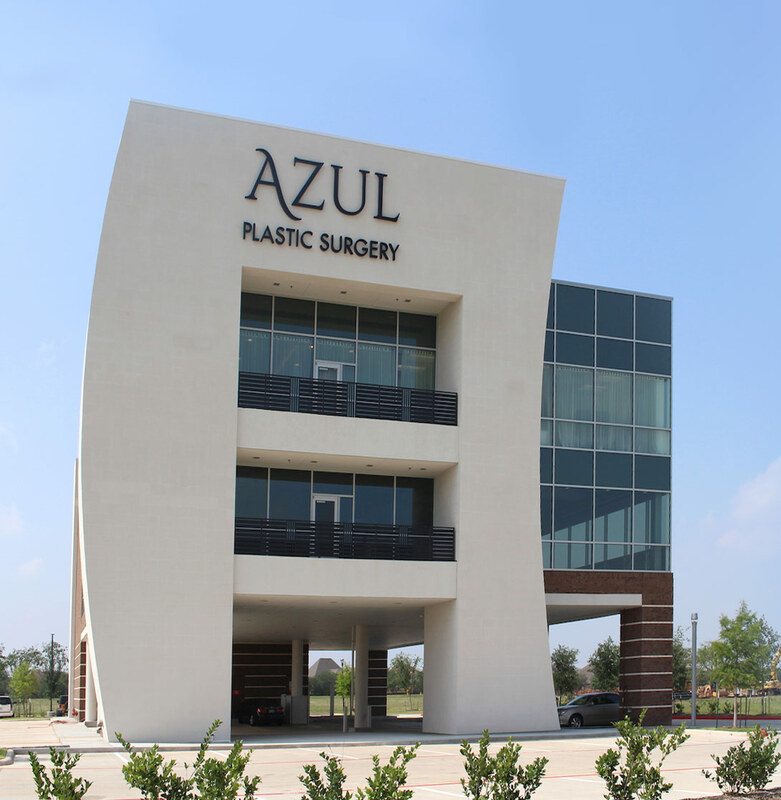 At Azul Plastic Surgery we are committed to helping you achieve the best possible outcome in your Tummy Tuck/abdominoplasty surgery. Located in Sugar Land, we serve clients throughout the greater Houston area, including Fort Bend, The Woodlands, Katy, Pearland and Galveston. Request your personal consultation. Who is a candidate for a Tummy Tuck (abdominoplasty) procedure? If you have loose or sagging abdominal wall skin frequently associated with abnormal relaxation of the anterior abdominal wall muscles (frequently secondary to multiple pregnancies or prior surgery). If you are unable to tighten abdominal wall skin with exercise. What is Tummy Tuck surgery and recovery like? Mini-abdominoplasty tightens the lower abdominal wall skin only (shortest scar). Standard abdominoplasty tightens all of the abdominal wall skin (standard scar). Abdominoplasty can be performed on an outpatient basis. Light activity is comfortable in 10-20 days. Sports will not be comfortable for about 6 weeks. Additional procedures that may enhance the result are Liposuction, Breast Procedures, or Thigh Lift. Because every patient’s concerns and desires are unique, we recommend that you schedule a complimentary consultation with Dr. Jaffer. At the time of your consultation, a treatment plan will be proposed. With those variables identified, it will then be possible to estimate a firm idea of costs associated with your Tummy Tuck procedure.